Natural source of glucosamine. Helps tired joints, injury and supports recovery. Mushroom cell walls contains Chitin, a substance that naturally coverts to glucosamine. Glucosamine helps to maintain synovial fluid that lubricates the joints. 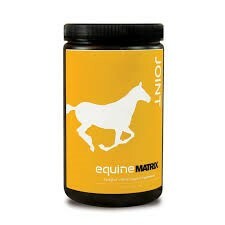 Joint Matrix is a natural approach to help maintain proper joint function. Helps maintain healthy bone, cartilage and joint structure / function. Helps maintain joint mobility.